Fleet Technology Entrepreneurs from across Europe met at London’s famous Savoy Hotel to strengthen business collaboration. 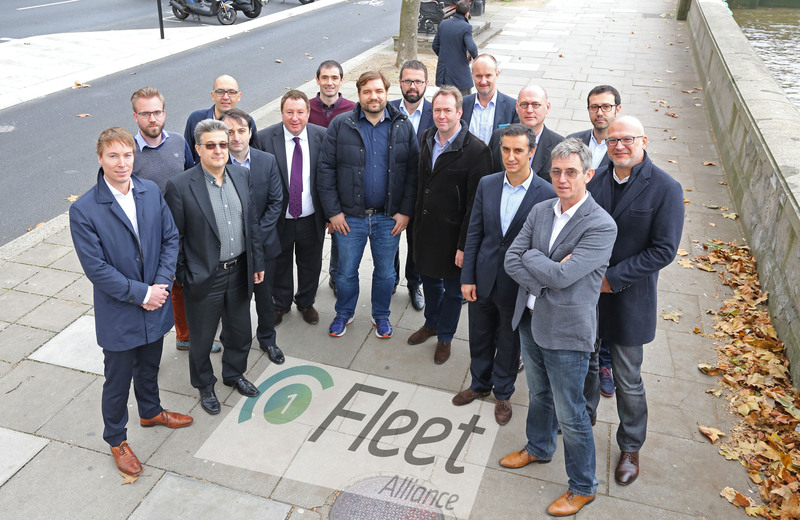 The 17 members of 1-Fleet Alliance – a group of telematics companies that together track over 500,000 vehicles throughout Europe – agreed to forge closer ties. Following previous meetings in Barcelona and Budapest, the group agreed to form 1-Fleet Corporation, a commercial entity to represent the interests of the majority of the members. The group objectives include collaboration and networking, promoting innovation and telematics industry standardisation, as well as joint marketing and commercial agreements. The meeting saw the appointment of Pedro Zamith, a well-known figure in the Automotive Technology arena, to oversee the development and launch of commercial propositions on behalf of 1-Fleet Corporation. “This was a landmark meeting for 1-fleet alliance, taking our collaborative activities to a new level. One of the primary benefits of the alliance is that is looks after the interests of the market in general, rather than the interests of individual suppliers. Despite a changing political landscape affecting Europe, cross border trade will continue and technology will become increasingly uniform. At 1-Fleet Alliance we will drive innovation and standards in the telematics field for the benefit of fleet operators across Europe,” says Joe Fenech Conti, CEO of Loqus, one of the founder members of 1-Fleet. This is the first ever pan-European alliance between leaders in the Fleet Technology and Telematics field and allows commercial fleet operators to benefit from the combined strength, global expertise and innovation brought by the diverse group membership.